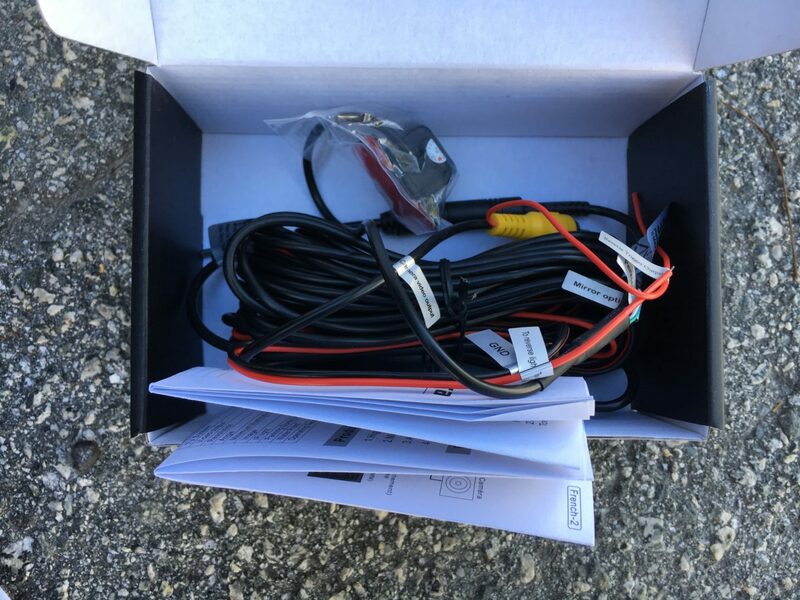 I previously wrote about my experience with trying out various Scion head units in my 2003 Toyota 4Runner. I eventually chose to go with a Scion T10015 touch screen head unit not just because of its sleek but stock look, but also because of its extra capabilities. One of them being the ability to display a backup camera on the touch screen. Cheap Ebay Backup Cameras aren’t that bad honestly, and I’ve tried both wireless and wired kits. These kits would display the backup view onto an add-on rear-view mirror. This solution worked, however I had some reservations using these kits. One, they didn’t always correctly display the view on the add-on mirror. The wired kit was more reliable, but the wireless ones had a lot of electrical interference causing static to be displayed. Either way, you couldn’t guarantee the backup camera would turn on every single time you shifted into reverse. Another issue I experienced was that all of these Ebay backup cameras were not actually wide view cameras. You can always tell that they’re not wide view the moment you see the backup camera in action. No matter how you angle the camera, you won’t be able to get a proper view of both rear corners of the vehicle. These Ebay listings all claim to have various degrees of point of views, but in the end, they all seem to have the same camera view. Finally, I didn’t like look of the Ebay backup cameras. The backup camera itself just looked cheap and the mounting of the camera didn’t look all that elegant either. The rear view mirror that comes with the kit snaps onto your OEM mirror, and overall everything just looks a bit clunky. I decided to take a step up to a better backup camera that exhibits a true wide view and aesthetically looks pretty darn good. I then wired it up to my Scion T10015 touch screen head unit to make it look as OEM as possible. The wiring got a bit daunting at times, but I took my time and was able to get it all working in the end. 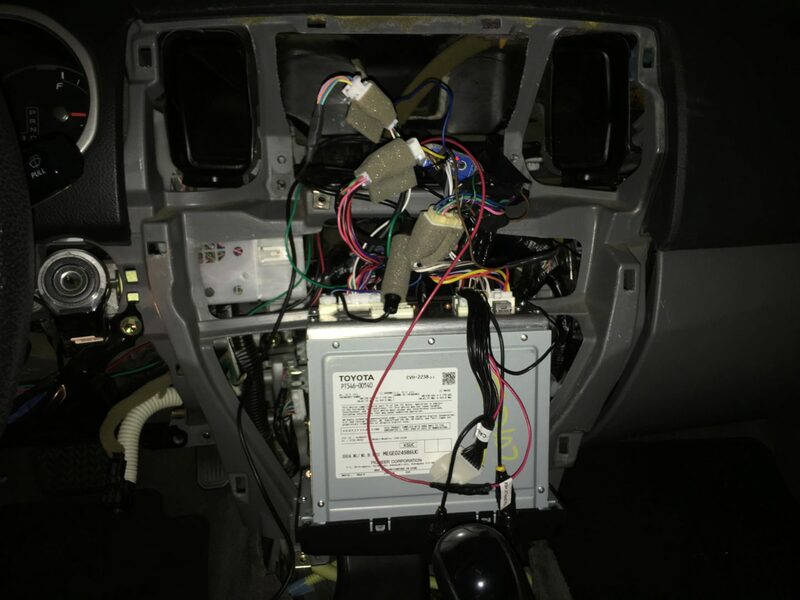 Here’s my installation process of installing a Rydeen MINy (CM-MINy) backup camera to have it display on my Scion T10015 head unit. 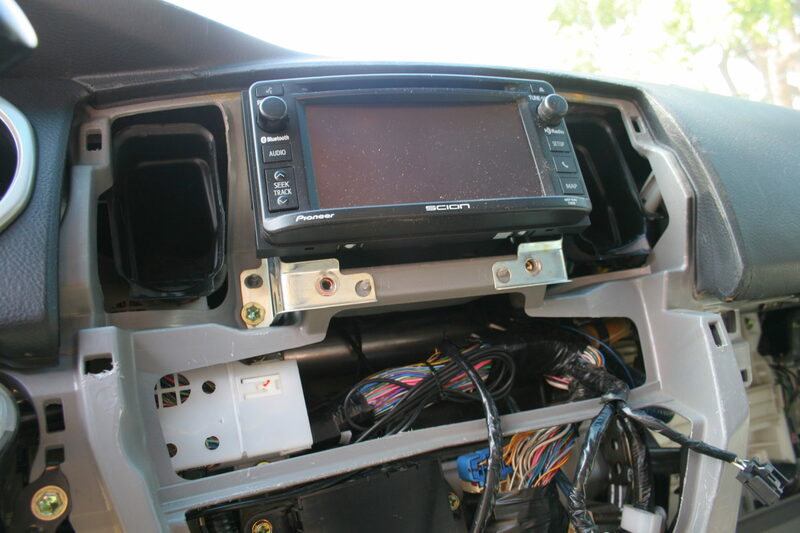 Obviously, you will need both the Scion head unit and the Rydeen MINy backup camera for this installation. 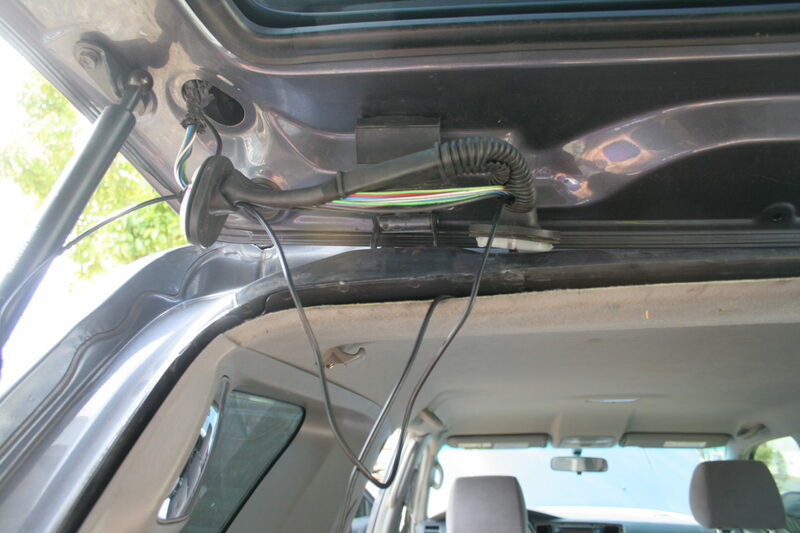 You’ll also need a rear view camera adapter (CAM-TY11), which is essentially a pre-wired connector that plugs into the back of the head unit with various connectors for power, ground, and a yellow RCA connector. It’s very possible to make this work with a different head unit and/or backup camera, but with this specific setup, there are very peculiar details that need to be in place in order for the backup camera to work. The head unit sends power in a very particular way to check for proper connection to a backup camera. 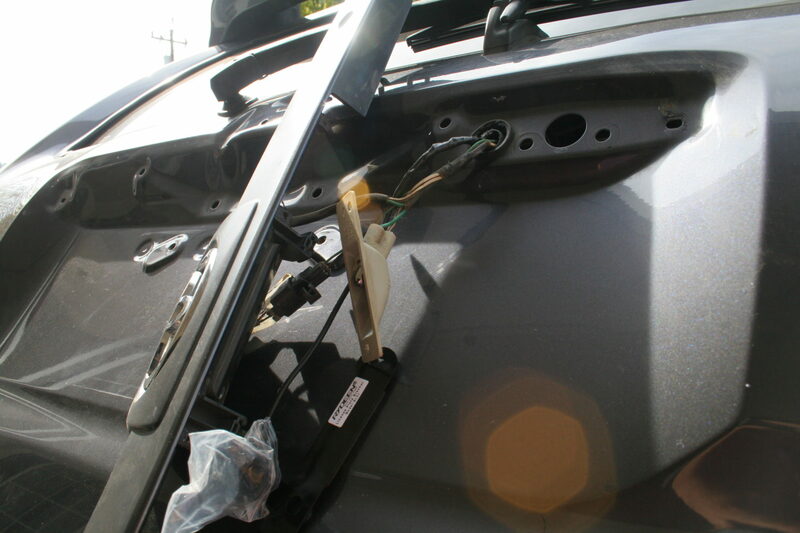 Also, the backup camera has specific wiring that allows this connection between head unit and camera to be made. 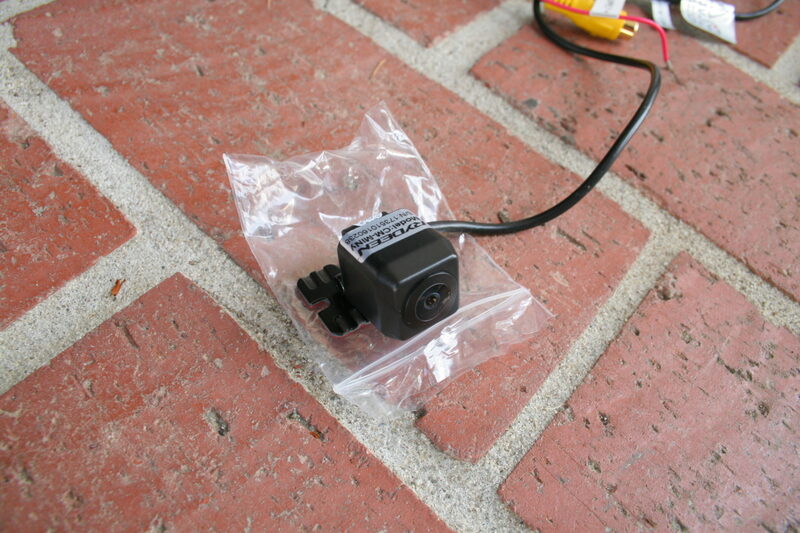 This is the specific backup camera I used, however my understanding is that there are several other Rydeen (e.g. Rydeen Duo) backup cameras that may work. These other items are things that you will probably need for the installation, however you may have similar materials or ways of getting around. I’ve included some notes below so you can determine the need. Flex Tape: This will be used to wrap some wiring during the install to make a waterproof seal. There is a part of this install that may require cutting open a waterproof seal, and this tape will help re-seal so there will be no water intrusion. Electrical Tape: You’re going to need quite a bit of this to wrap up all of the connections to be made. 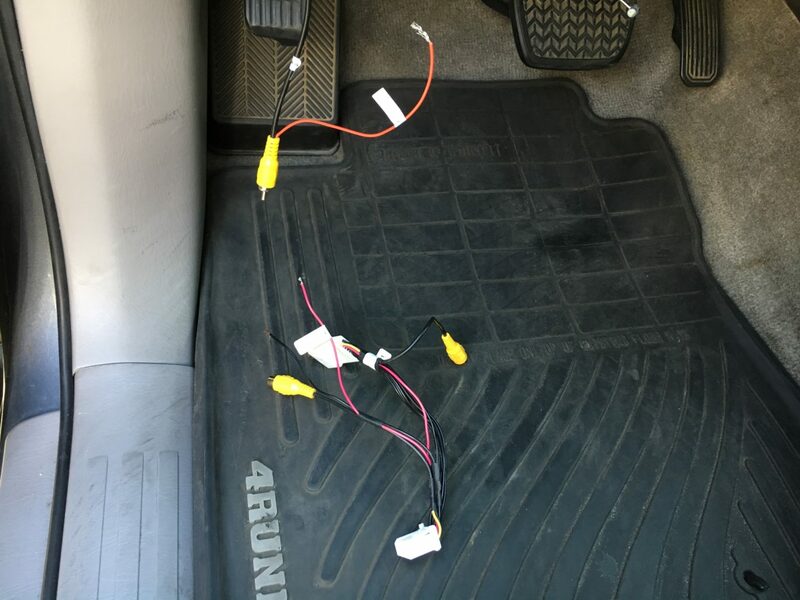 Terminal Connector Plugs: may be needed for running a new wire between the reverse connector on the head unit to the reverse wire in the footwell. Below is a wiring diagram that I sketched showing how the components hook up to one another. Keep in mind that the lines below may not represent actual electrical connections, but the way the wires from the various connectors and plugs connect to one another. Use this diagram as more of a schematic along with the install procedure below. When the key is turned to ignition, +12V accessory power runs to the head unit which powers it on. 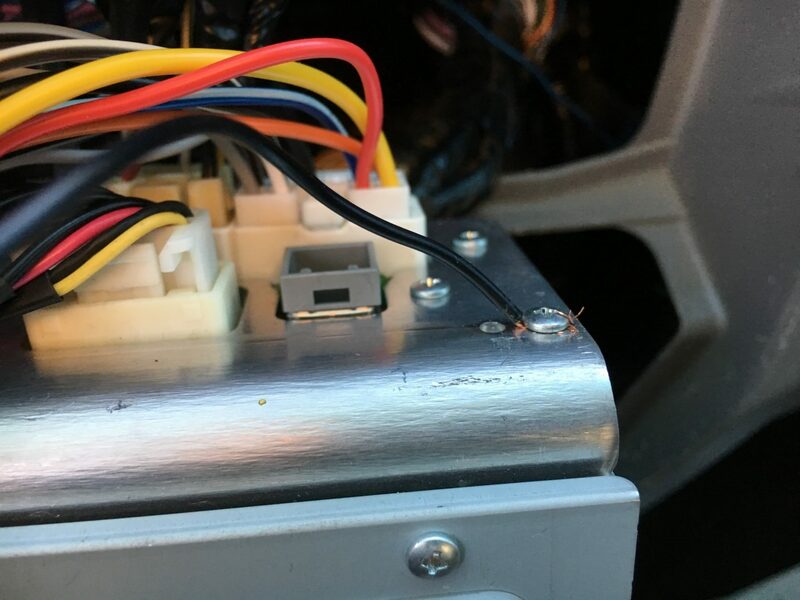 When the Scion T10015 head unit powers on, it sends +6V power through the CAM-TY11 connector. As you can see below, the power to ground connection powers on the Rydeen camera. Within the first five seconds of the head unit being turned on, it checks for a video signal. 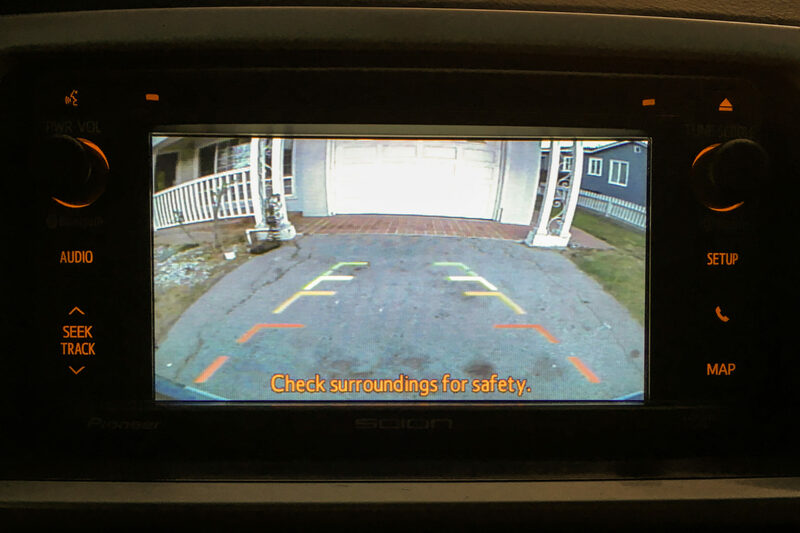 If it sees the camera, it will enable the backup camera feature. If it does not get a video signal, it will disable the backup camera feature. 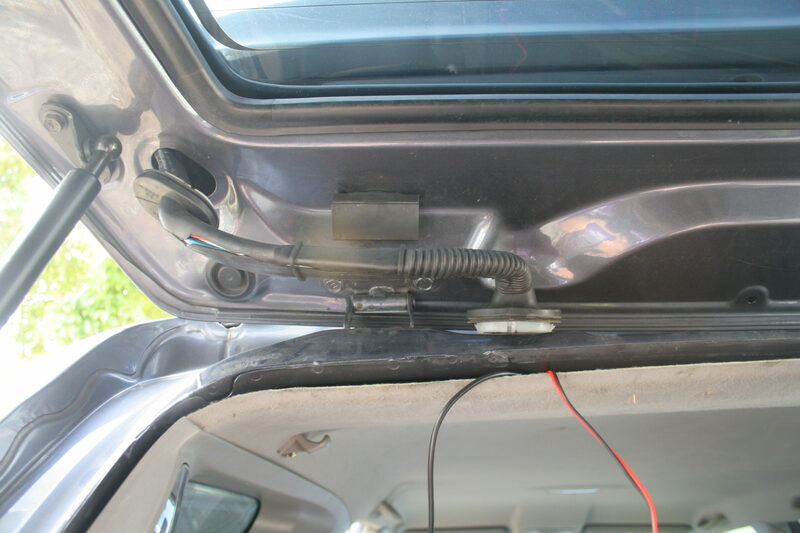 Moving forward, whenever the car is shifted into reverse, the +6V power is sent through the CAM-TY11 connector to power on the backup camera (if the backup camera feature is enabled). If the backup camera was getting its power from the reverse lights (like you would with some universal backup camera kits), then the head unit would not get the proper signal at start up in order for it the enable the backup camera feature. 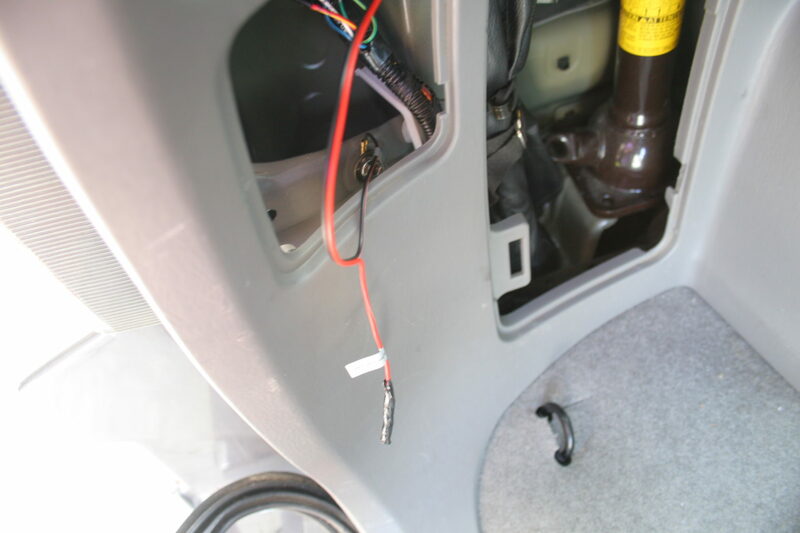 * note that an extra wire needs to be connected between the #2 (REV) connector on part #90980-12624 and the reverse pin at the footwell. More on this later. 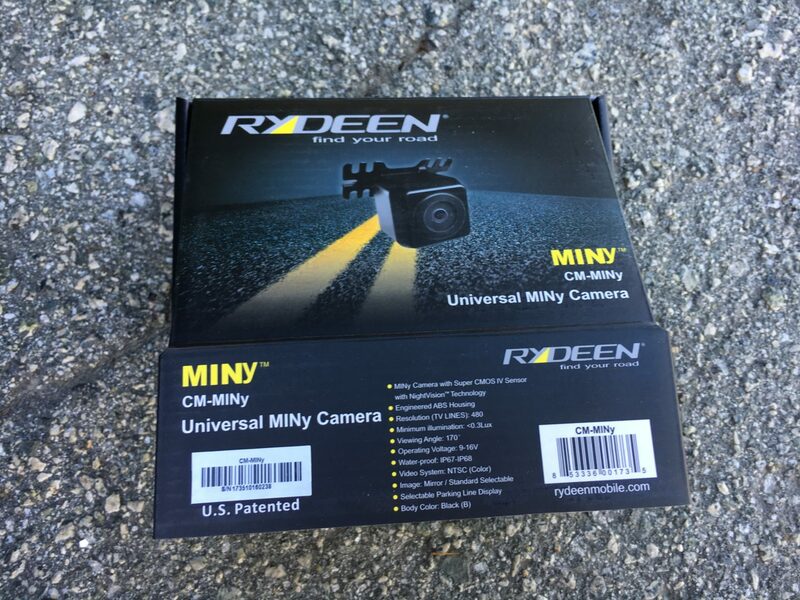 I chose the Rydeen MINy backup camera because I didn’t want to drill any holes. 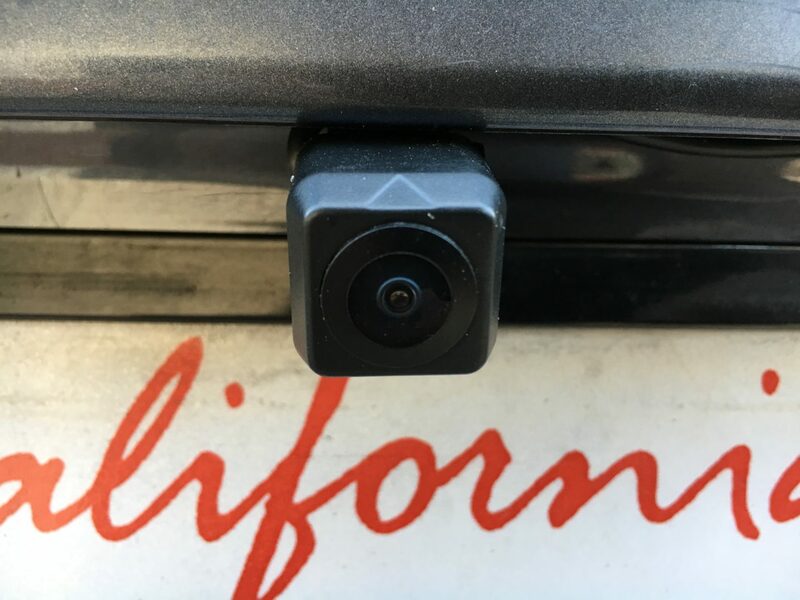 This camera can be installed with a license plate mount. 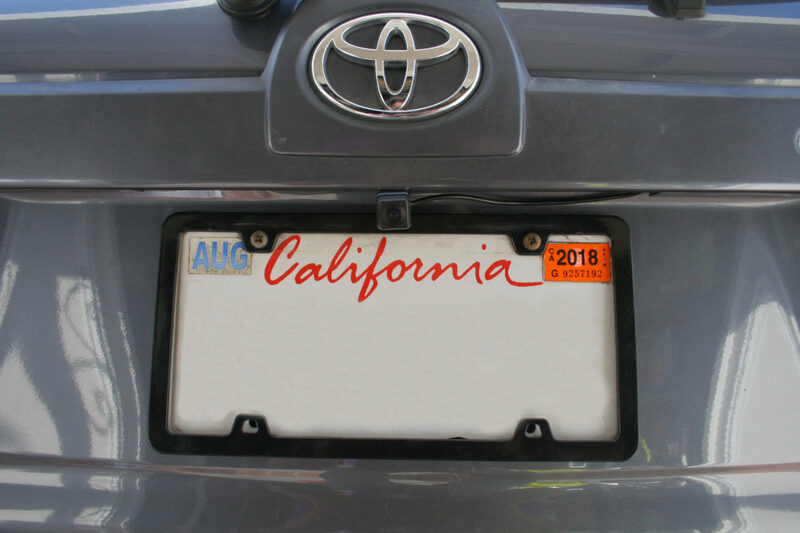 Contrary to other license plate mounted backup cameras which tend to look bulky or cheesy, this one looks sleek and low-profile. When you remove the wiring from the box, it can look like quite the mess. 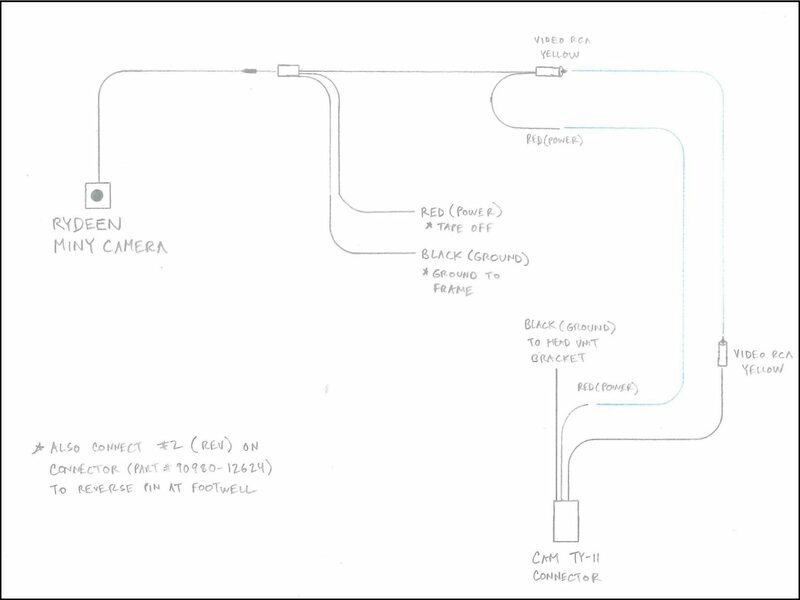 That’s why I found it helpful to sketch out the wiring and connections to keep my mind straight during the install. 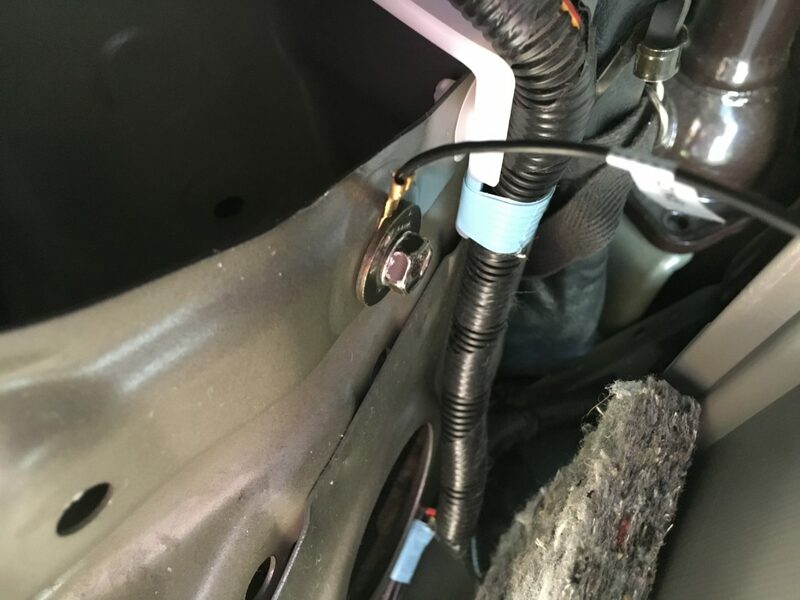 Disconnect the negative terminal of your battery to ensure you don’t damage any electrical wiring/components during the install. 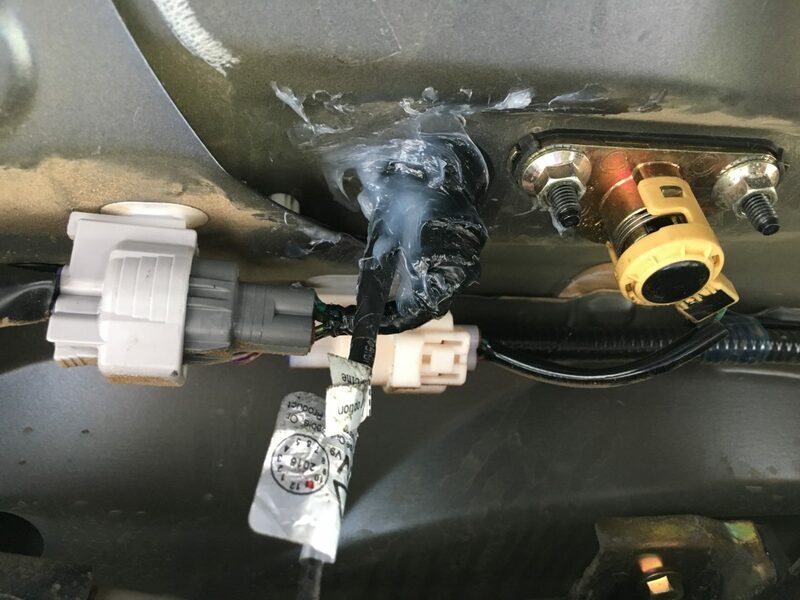 I would recommend opening the tailgate first before disconnecting the battery since the latch is electronically controlled. The first part of the install is to mount the camera and run all of the wiring. I decided to start off with installing the backup camera and getting the wiring through the tailgate and into the cabin. 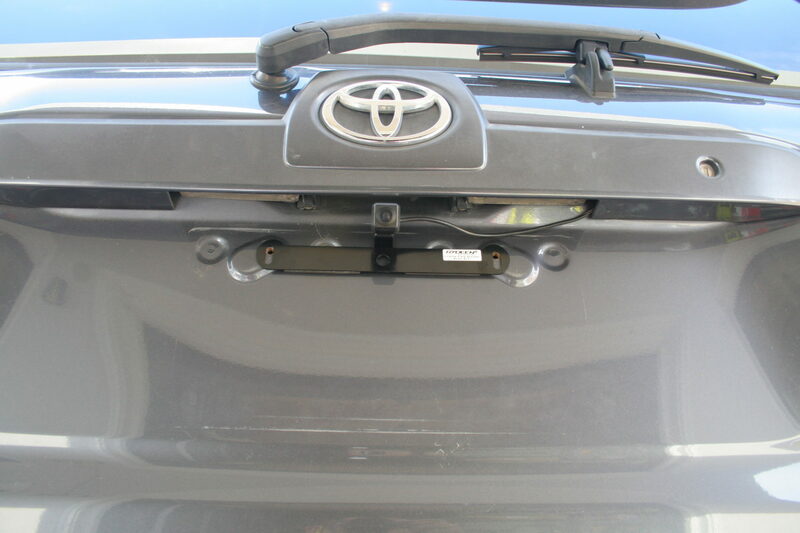 After opening the tailgate, you should be able to undo the bolt that is hiding behind the trim piece where the pull handle is. 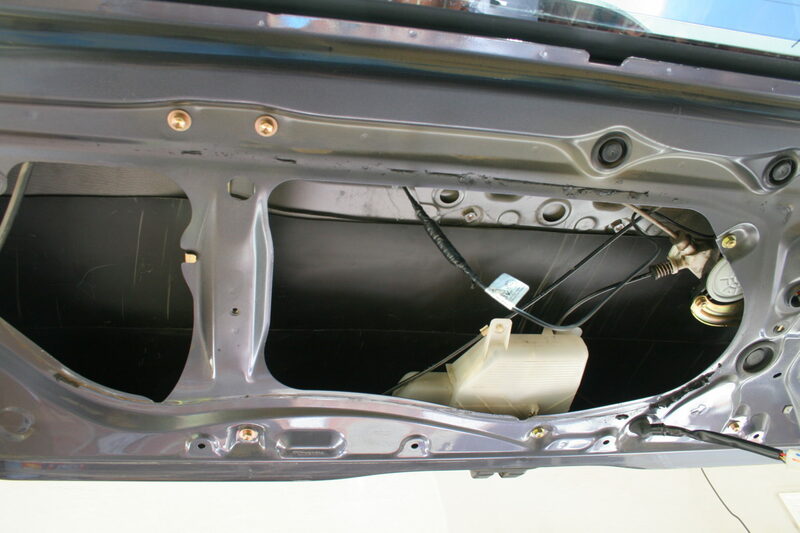 After removal of this bolt, the whole interior tailgate trim can be pulled off by hand. Work your way around the edges of the trim and pry the little trim clips off. 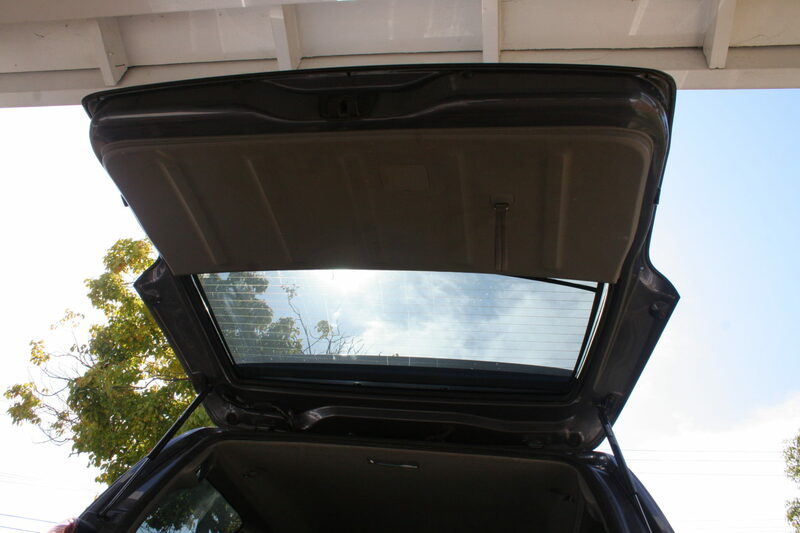 After you’ve worked your way around the trim, you can slide the tailgate trim towards the hood struts and the entire piece will come off. 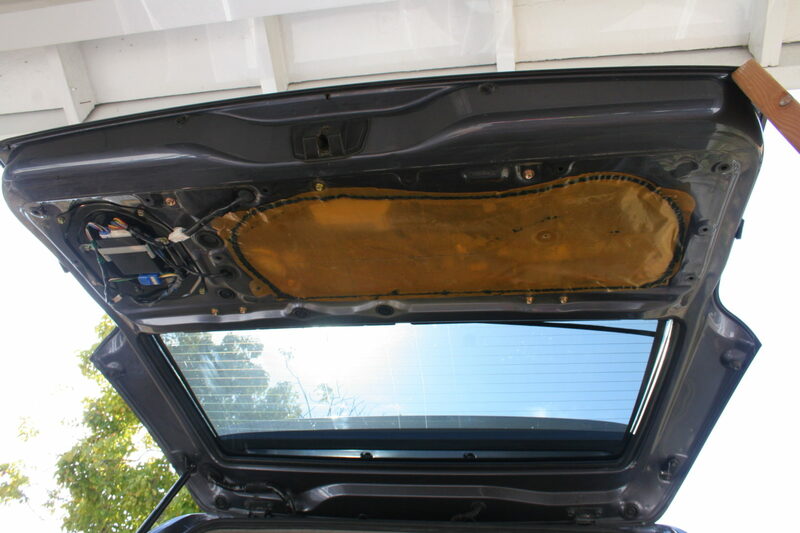 You’ll see this butyl rain-proofing that holds the orange plastic sheet in place. The weather proofing gunk can get messy so be careful. 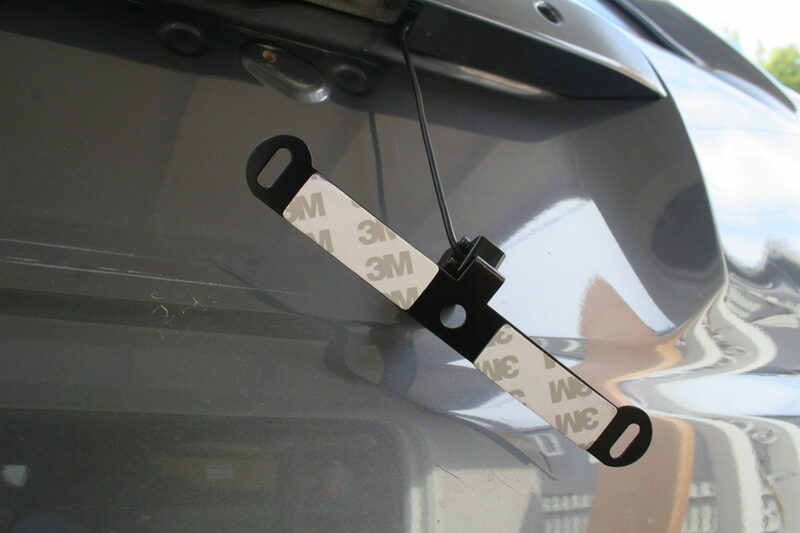 I normally use a razor blade or Xacto knife to slit the butyl ribbon between the plastic sheet and tailgate frame. This plastic sheet with butyl along the perimeter can easily be pressed back into place during reinstall. Now you’ll see something like this. 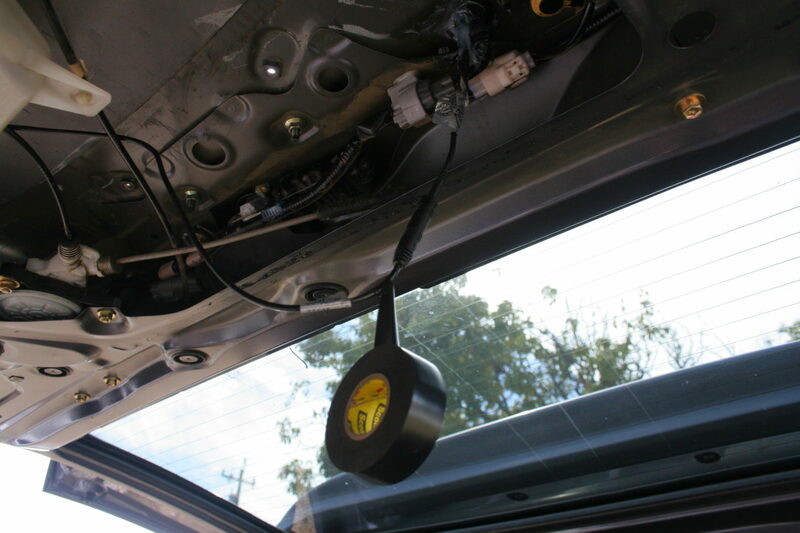 Remove the window motor (via the mounting bolts) and any other things that might get in your way when you run the wiring. 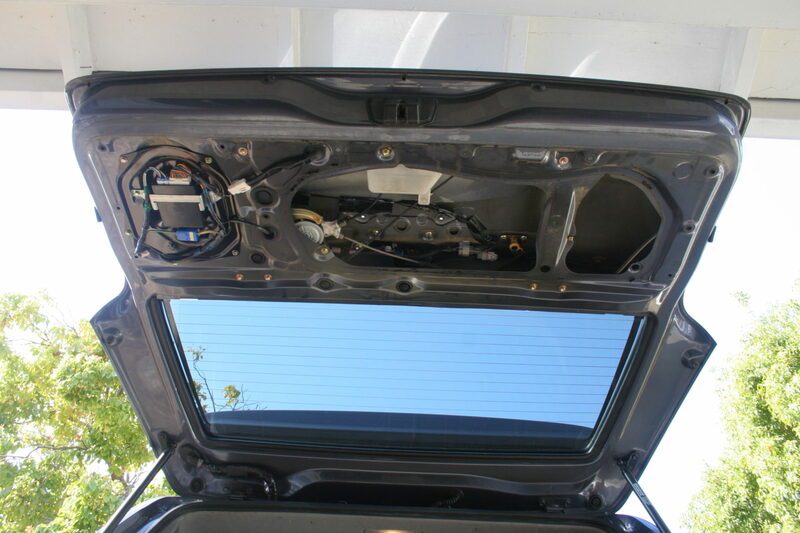 There are several nuts that need to be removed from the inside of the tailgate that hold the trim piece (shown partially removed in below photo), and two nuts that hold the key lock cylinder in place. 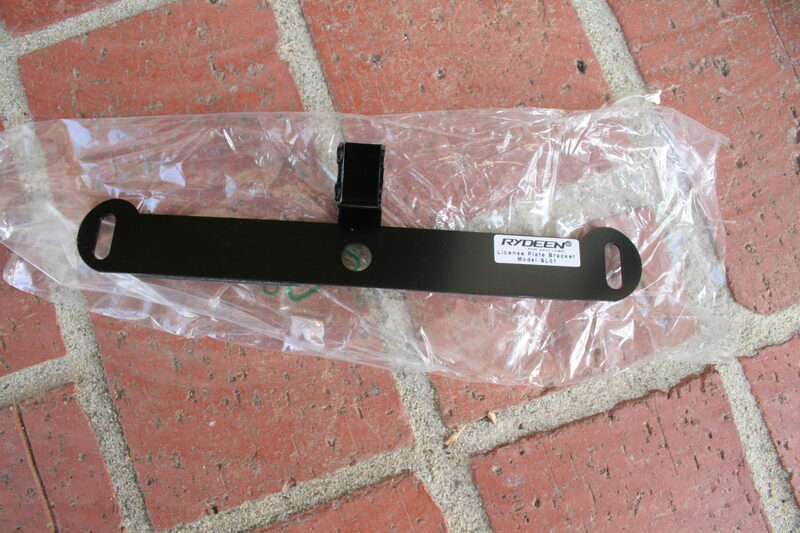 After these nuts are removed, the rear trim piece that includes the Toyota emblem can be pulled off by hand. The camera itself is attached to the license plate mount via the two small bolts provided. It takes a bit of finagling to get the holes lined up, but it will eventually. You can get the bolts screwed all the way through. This should be how it looks in it’s final place minus the license plate. The wire from the camera needs to be run through the rubber gasket where all of the other electrical wiring runs through. 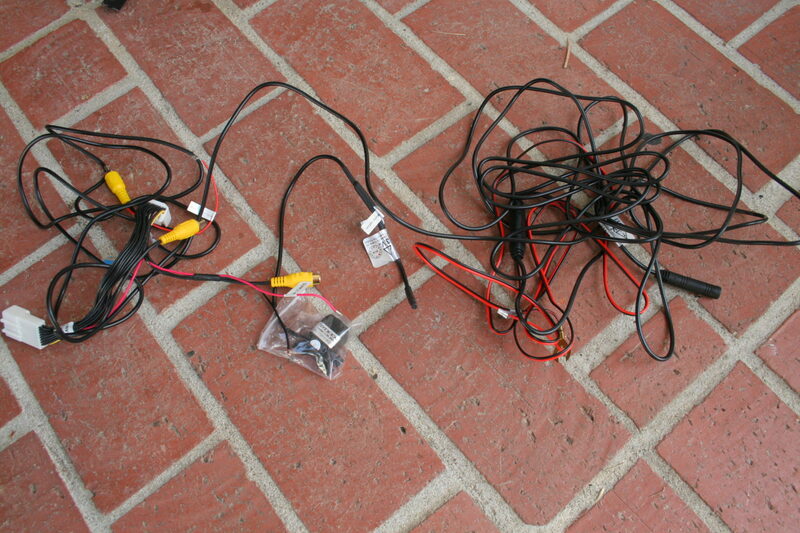 These wires include the ones for the license plate lights and for the rear window motor. There was very little room to stick another wire (with connector) through the hole along with the other wires. So, I poked a new hole through the rubber grommet and ran the wiring through there. In order to ensure it was protected from any water intrusion, I made sure the wiring was in its final position and then filled the gap around the new wire and hole with silicone caulking. It’s not the prettiest thing to look at, but the important thing is that it’s waterproof. 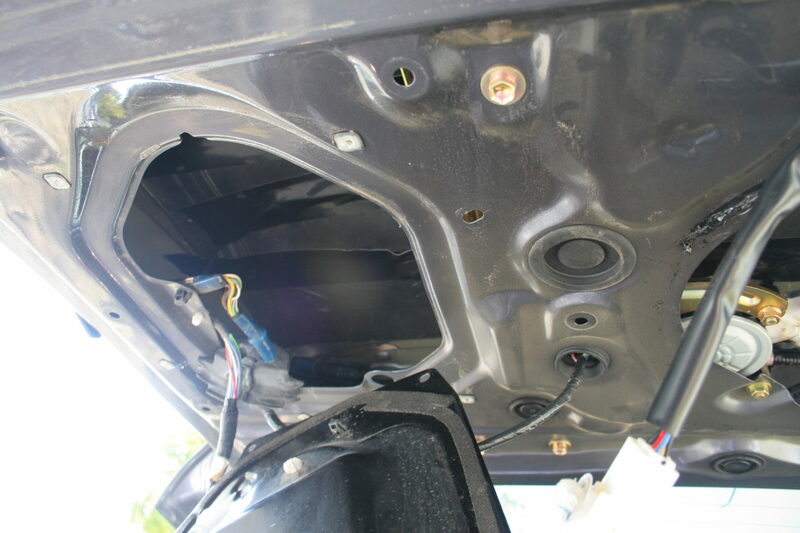 After the silicone caulking set, I then ran the wiring with the skinny black connector through the inner part of the tailgate on the vehicle’s left side. 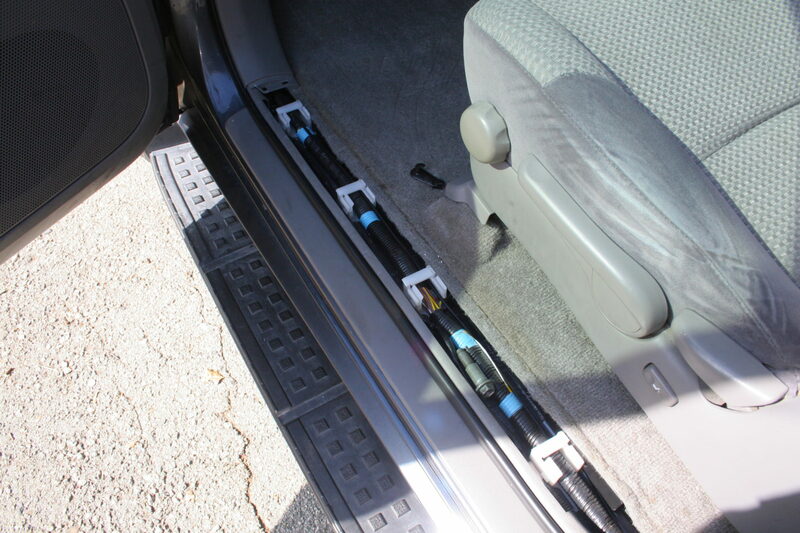 The wire needs to be pushed through this corridor in the tailgate up towards the tailgate hinge. 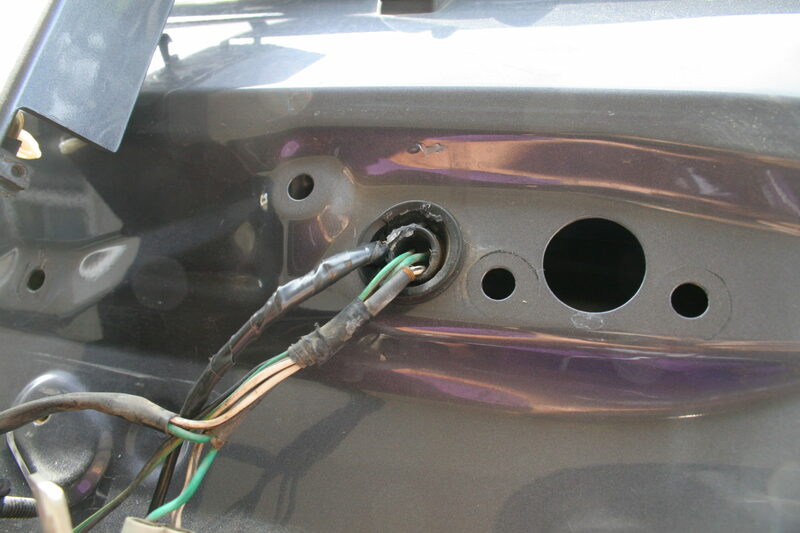 To facilitate the movement of the wiring through this part of the tailgate, it helps to use a fish tape or a wire hanger to tape the wiring to, in order to guide it through. If you are disassembling a wire hanger to use as a fish tape, make sure that the tip is filed smooth so that you’re not poking and causing damage to other electrical wiring during the fishing process. 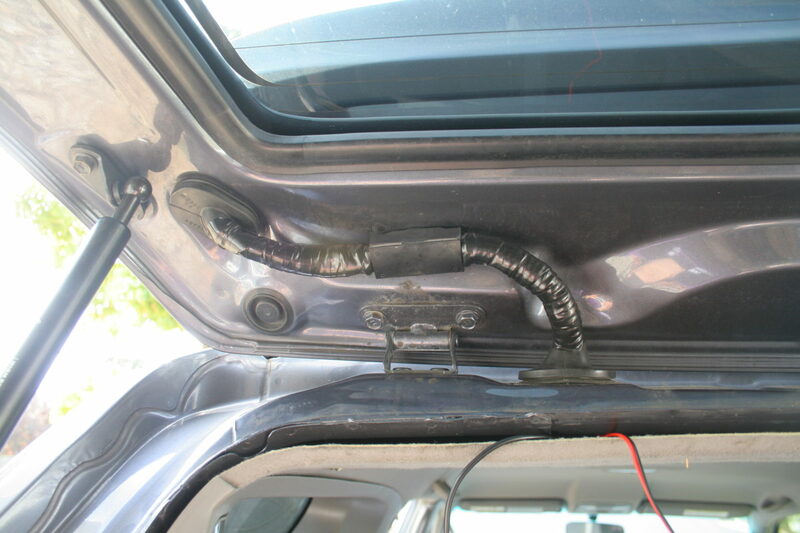 This ribbed rubber conduit between the tailgate and the body of the car is very difficult to get through if you want to keep the rubber intact. I agonized trying to get the wiring through and eventually decided I was going to cut it open so that I could get the wire and connector through. 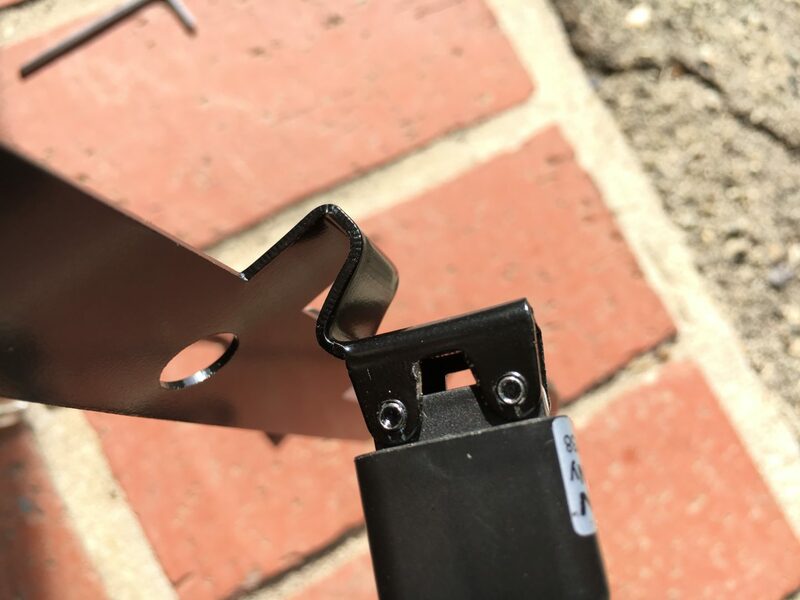 Although the connector is fairly narrow and cylindrical, there was no way I was going to get it through this passage without cutting this ribbed rubber section open. Going with an Xacto knife, I cut a slit through the rubber piece so that I could get the wire through. I figured I could wrap it all back again when I was done fishing the camera’s wire through. With the wire run through this section, I covered the wires with the rubber conduit again. Since there is an opening now, I used a waterproof wrap such as Aqua Seal or Flex Tape to reseal this set of wires. I used this waterproof seal tape to wrap around the open slit kind of like wrapping a new grip on a tennis racket. On top of that, I generously wrapped over the waterproof seal with electrical tape so that I could everything sealed up nice and tight. The entire wrapped wire set can be put back into the plastic clip and secured. 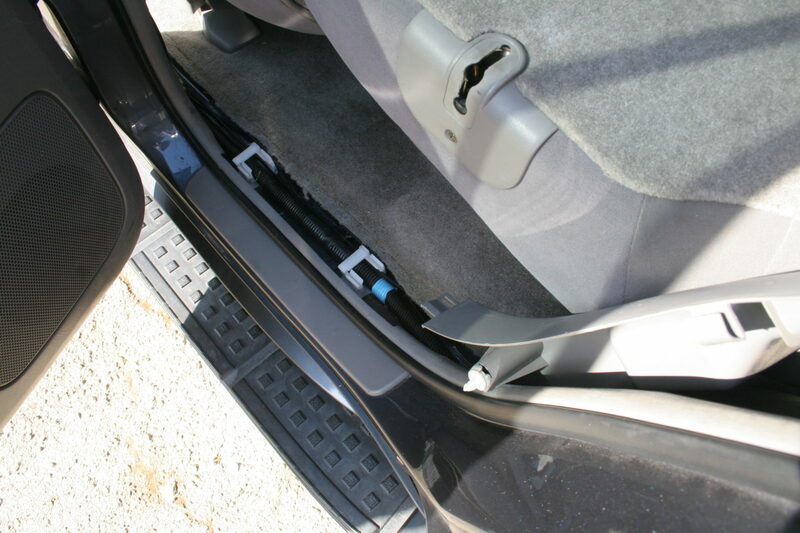 The plastic/rubber grommets can be popped back into place (one on the tailgate, and one on the body of the car). Phew! Now have a beer (or your choice of non-alcoholic beverage). In my opinion, that part was the most frustrating part of doing the backup camera wiring. 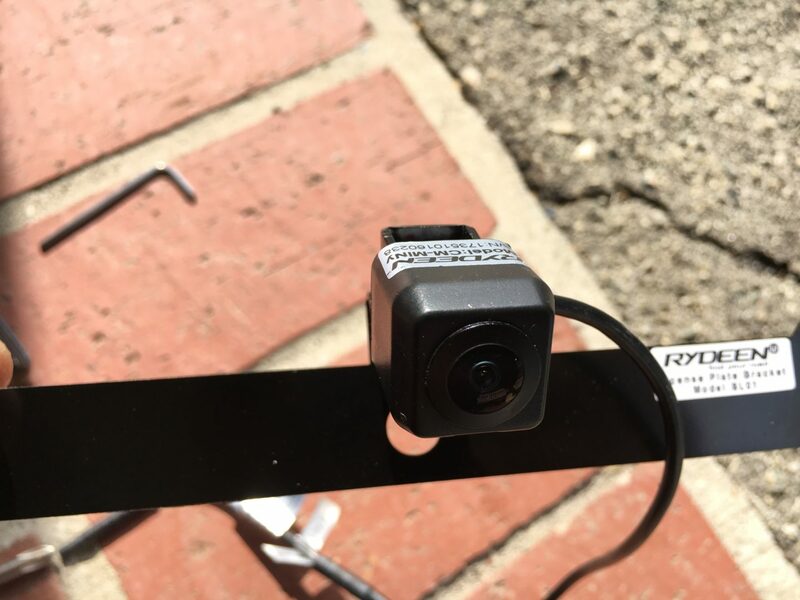 Moving on, the black connector coming from the Rydeen camera should be connected to the mating connector and then taped together in order to keep it from pulling apart in the future. Before moving forward, secure the wires that you’ve run directly to the metal sheeting. I used Gorilla Tape to tape the wires to the tailgate, but you can use anything that you can be confident will hold the wires to the sheet metal for a very long time. The last thing you want is for you to be rolling down the tailgate window and have it catch, consequently pulling out the wiring that you just put in. 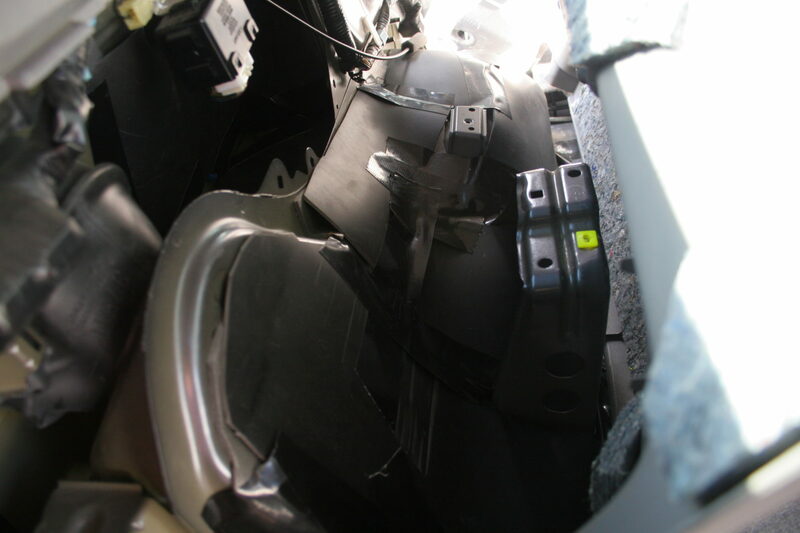 Now, the window motor can be put back, plastic protective sheet with butyl ribbon can be pressed back on, and tailgate trim can be put back on and secured. There are three wires that comes out of the cylindrical black connector (see wire diagram at top of post). One is a red power wire that should be taped off. I wrapped the end with electrical tape and set it aside. The other is a black wire with a fork connector that needs to be connected to the frame of the car. I found an empty bolt hole and a matching bolt that I was able to make use of to connect the fork connector to the frame. Before bolting the connector the frame, I scratched up the surface of the metal so that there was good contact for ground. 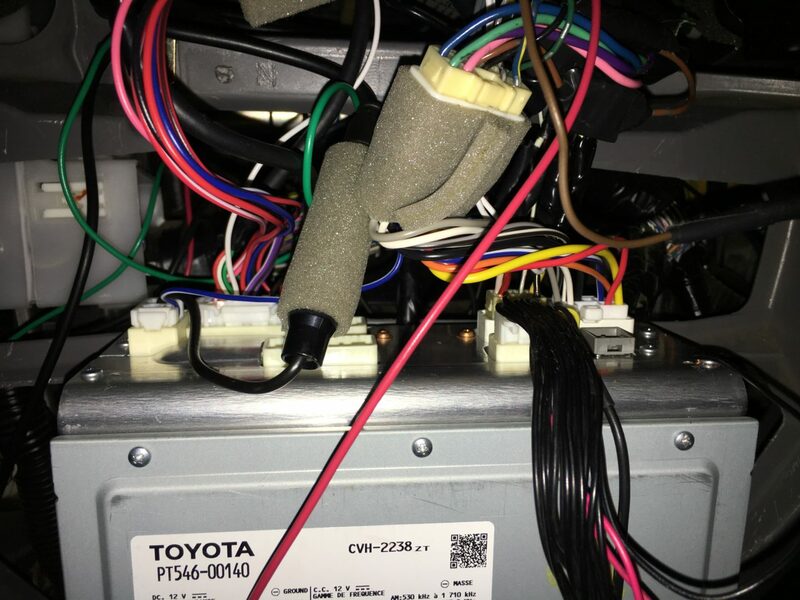 You’ll now need to run the wiring from the rear of the vehicle to the front, all the way to the head unit location. 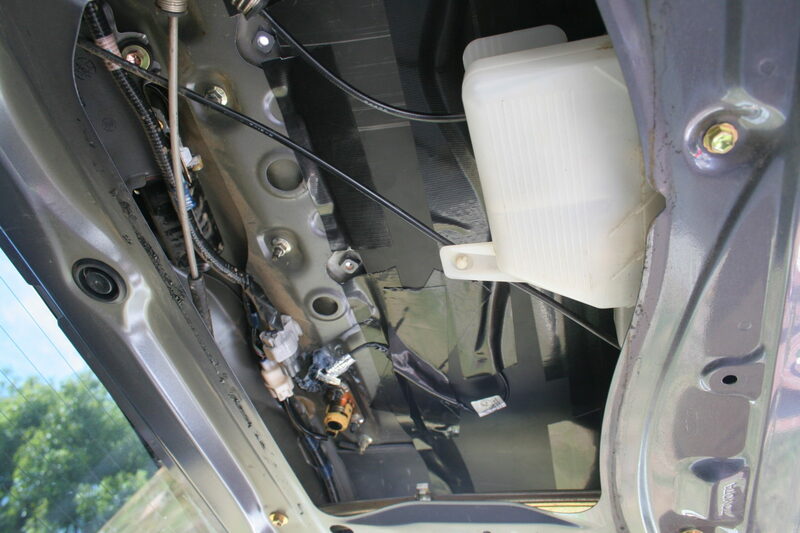 This involves laying out the wires behind the interior trim, over the rear wheel well, running along the floor trim of the vehicle from rear to front, and then up and around the steering column, finally ending up at the head unit. I kept the wiring inside of the white wire clips (seen above) just in case the wire would get snagged when reinstalling the floor trim. As you follow this route, you’ll run out of wire and eventually find the need to connect the yellow rca male end to the rca female end from the CAM-TY11 connector. However, the wire is not long enough. You will need to use the RCA extension plug to bridge the gap between the two RCA connectors. You’ll also need to run some wire between the two red power wires. The power wire provided by Rydeen appears to be 20 or 22 gauge wire, but just size up the wire and ensure the wire gauge you’re using is the same size or larger. I believe I used 20 gauge to be safe. And of course with these connections made, I wrapped them securely with electrical tape. Both the extension for the RCA video signal and the red power wire should now be brought up past the fuse box and snaked between the steering column and lower trim panel (located above the foot well). 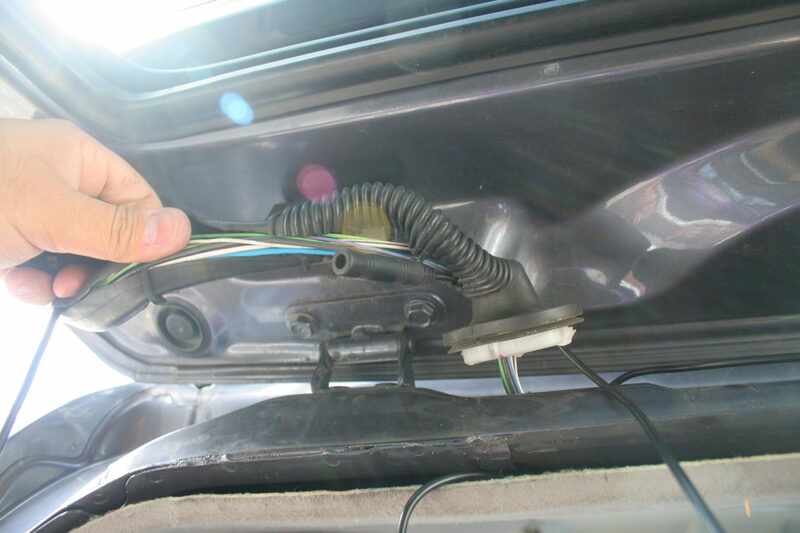 The two wires should be brought out to be connected to the CAM-TY11 connector, which ultimately plugs into the Scion T10015 head unit. Take your time to find the best route that best hides the wires and ensures that they are well protected. There is also a black wire that comes from the CAM-TY11 connector that needs to be grounded. I chose to ground it to the rear body of the head unit using one of the existing case screws on the back side of the head unit. 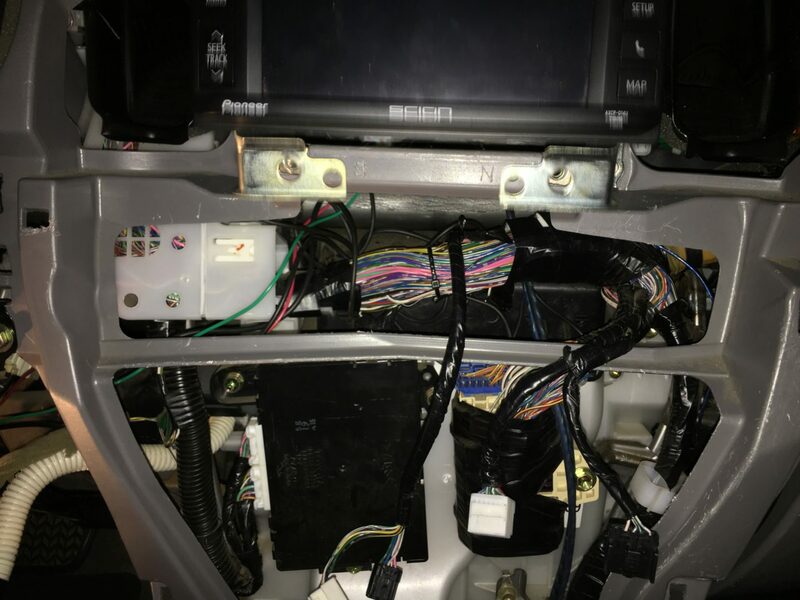 There is one more connection that needs to be made and that is the connection between the reverse wire of your vehicle and the reverse pin of the head unit. This will allow the head unit to pickup the signal that the car has been shifted into reverse. I used a green-colored wire (again, match up the gauge wire which I believe is a 20 or 22 gauge wire). On one side, I tapped off of the light green reverse wire in the 16-pin connector that is removed in the below photo. I don’t have a close-up image of the back of the connector so that you can see the light green wire that you need to tap off of, so I found one on T4r.org from a post by member Bluesky 07 that shows these wires clearly. The wire you need to tap off of is the solid light green wire (not the green wire with grey marks). This solid light green wire is the reverse wire, which is in the #1 position of this connector. I cut the electrical tape back on this harness so I would have enough room to make a tap off of the wire. 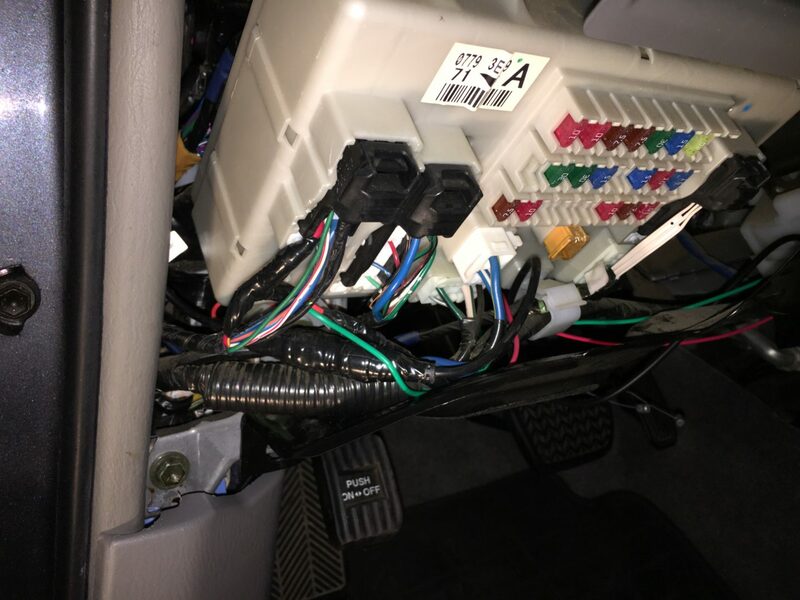 After tapping off this wire to a new green 20/22 gauge wire (which will go to the head unit), I securely taped the wires back, and plugged the connector back in. Route the green wire along with the other red/black wire that was snaked between the steering column and the lower trim panel. The end of this green wire needs to have a terminal end crimped on in order to plug into empty position #2 in the following connector (plugged into the back of the Scion T10015 head unit). As an alternative to buying the necessary terminal end, I found another connector plug I had that wasn’t being used and pulled out a wire with the terminal end attached). I then took this wire with its already crimped terminal end and plugged it into the REV#2 position of the connector. 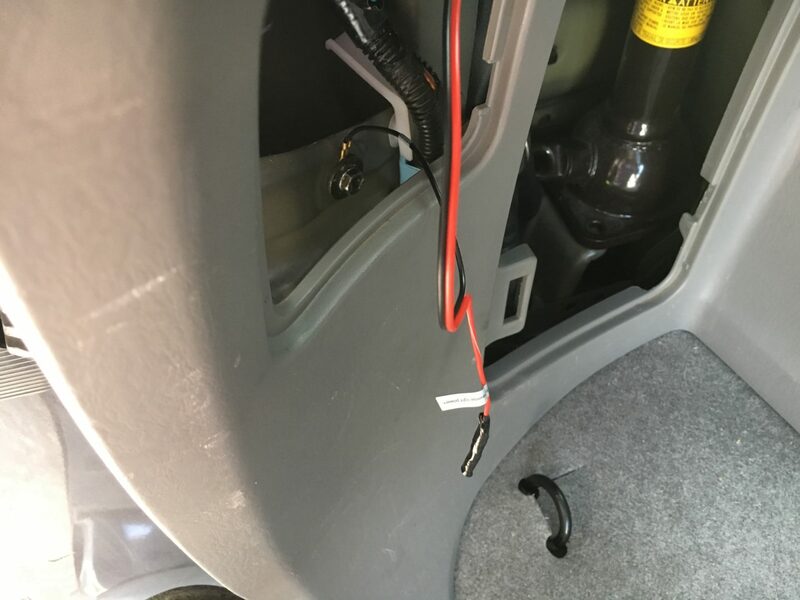 Next, I took the green wire I brought from the footwell, and spliced it to this wire going into the REV#2 position of the connector. I wrapped this splice up and proceeded to test out everything out. I wanted to check that my reverse view would display on the head unit when I shifted into reverse before I start putting things back, just in case something didn’t work. I reconnected the negative terminal of the battery, bolted back the head unit, and reinstalled all of the interior trim. I turned on my car, shifted into reverse, and voila! A clear view of my rear end— the car’s rear end— the car’s rear view! 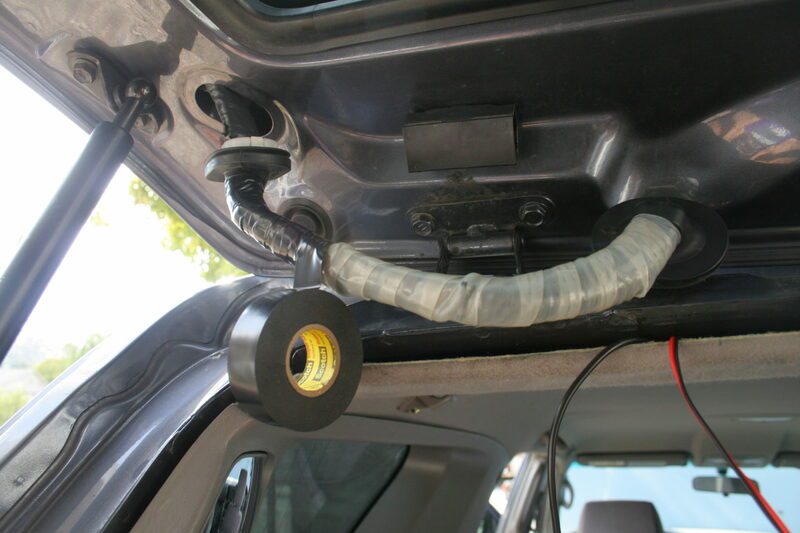 Now that I know everything works, I can now more permanently attach the backup camera mount. The Rydeen camera mount comes with some very strong 3M double-sided tape pre-mounted. This goes behind the license plate for a clean look. The license plate is then mounted on top of it. 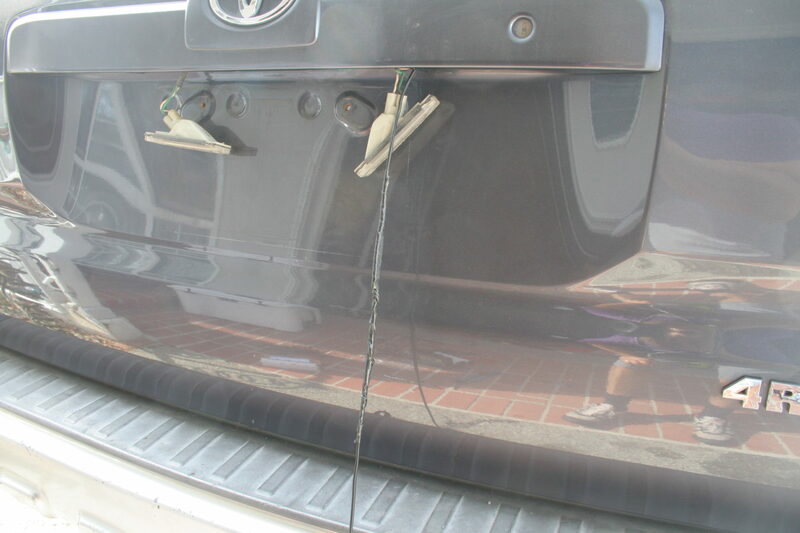 Here’s the final backup camera setup on my 4Runner. Perhaps I could do something better to hide that wire that is showing, but I’m very happy with out how it turned out. I really love how this Rydeen backup camera and Scion T10015 head unit pairs up. The install was a bit complicated at times, but the seamless operation of the backup camera function makes it all worth it. I’m still using it to this day (a year later) and it is still working flawlessly. I recommend this upgrade for anyone who doesn’t have a backup camera. Anyone who owns a 4Runner can probably agree with me that although rear view visibility isn’t all that bad, nothing substitutes a rear view camera for rear visibility.